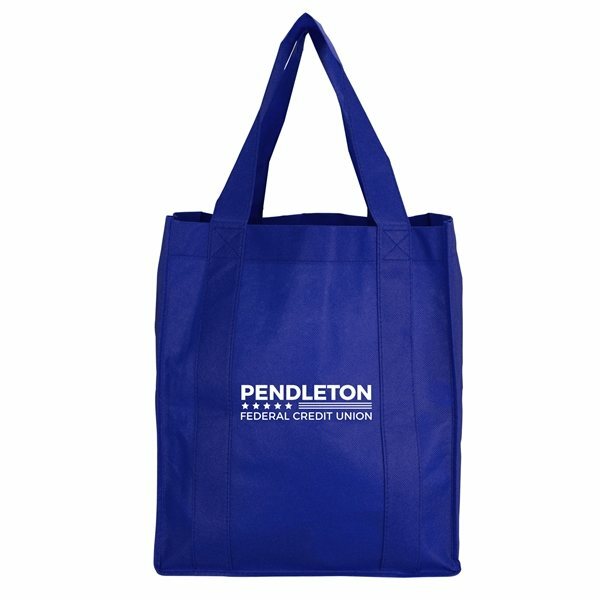 Our North Park Shopping Tote is large and versatile. 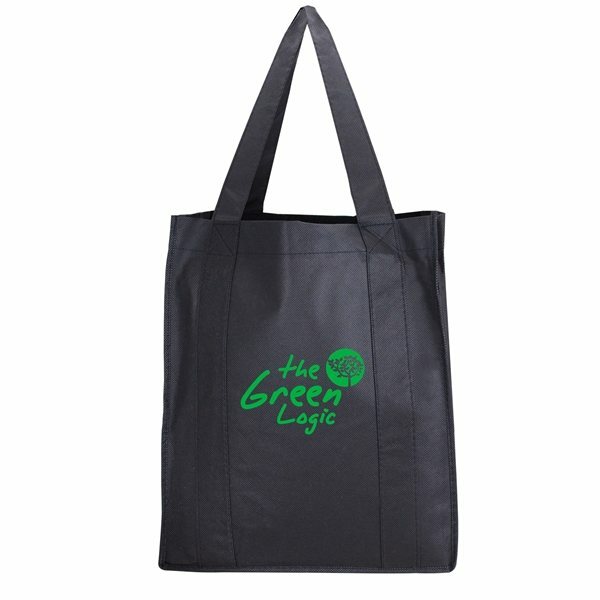 It's made of non-woven, coated, water resistant polypropylene. 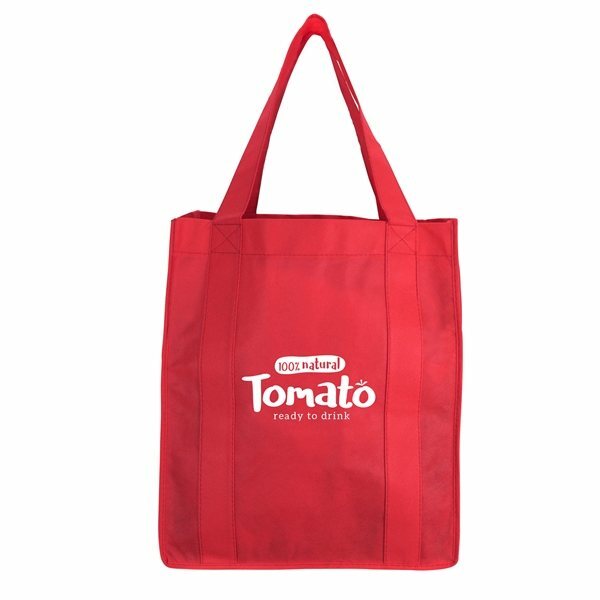 Measuring 13" wide x 15" high, with 20" reinforced handles and a 10" wide gusset with matching bottom insert, there is plenty of space for carrying groceries and so much more. 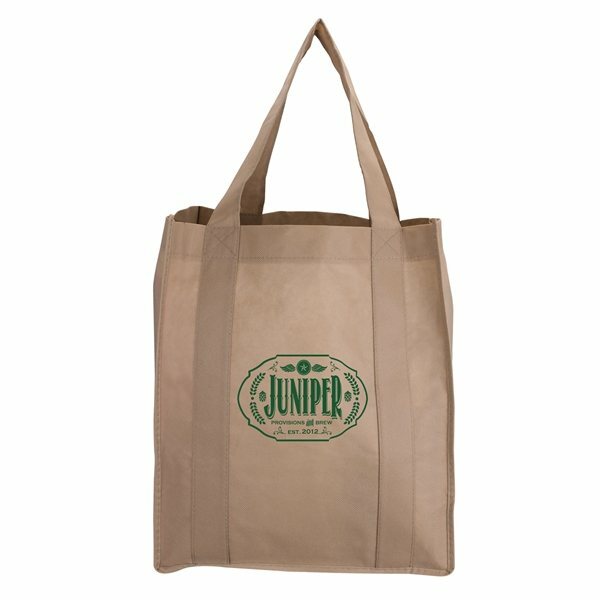 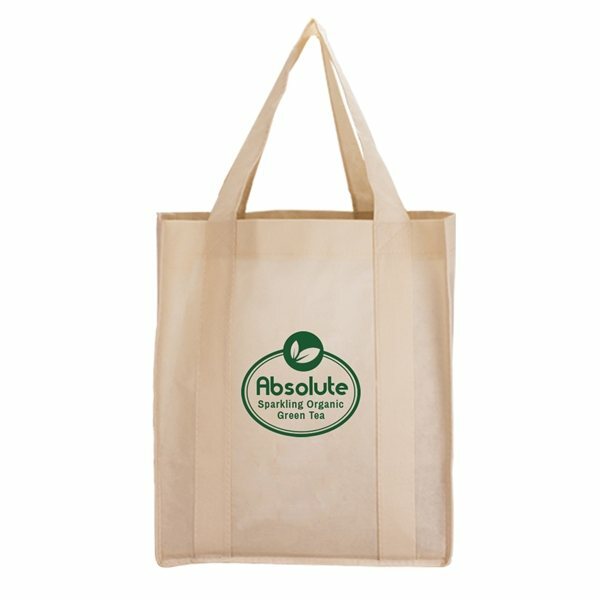 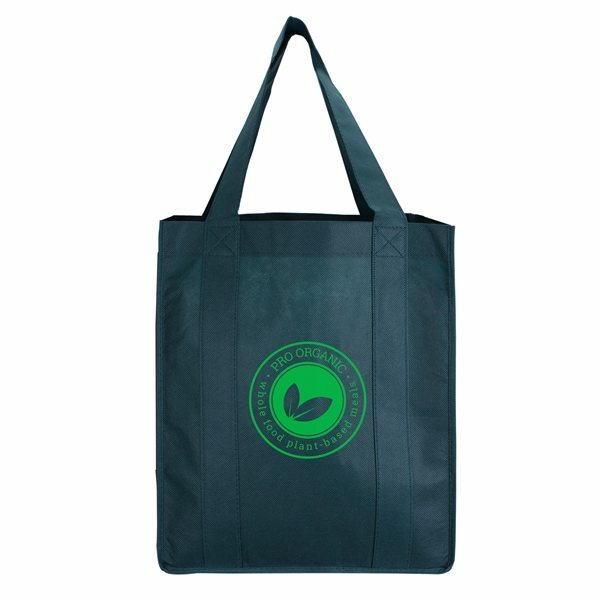 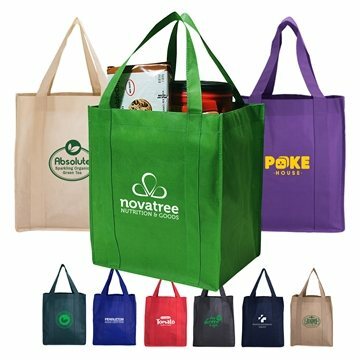 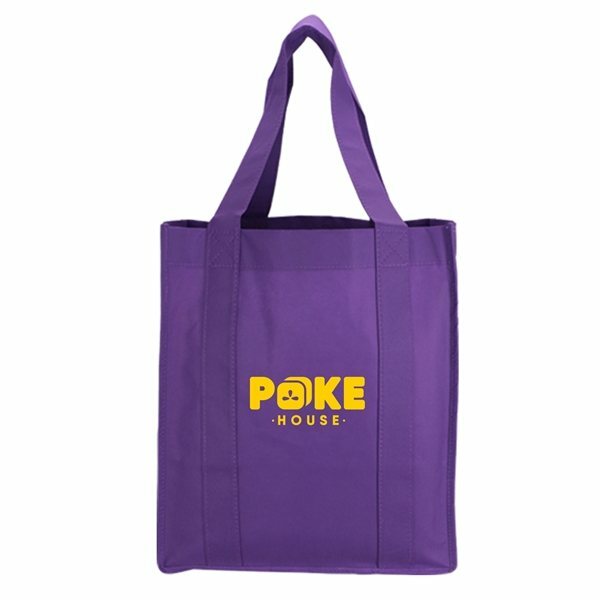 This reusable bag is a great way to make sure your customers will see your brand again and again. 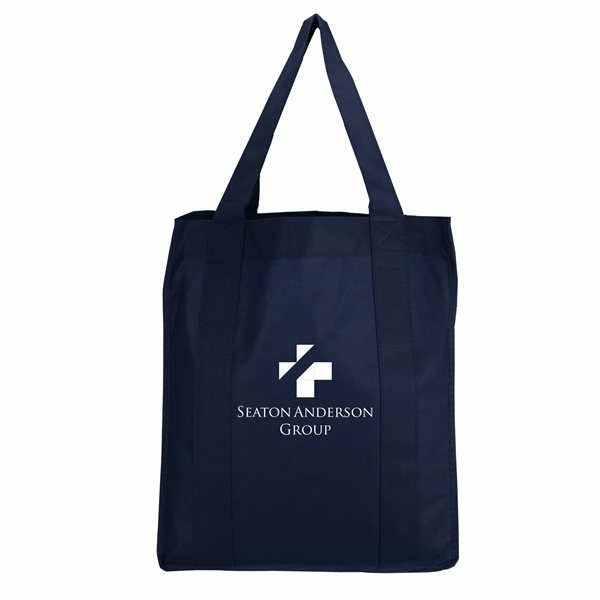 Material: Non-Woven, 80 gram, coated, water-resistant polypropylene.